Frank Harris's grave in the British Cemetery at Caucade, Nice. 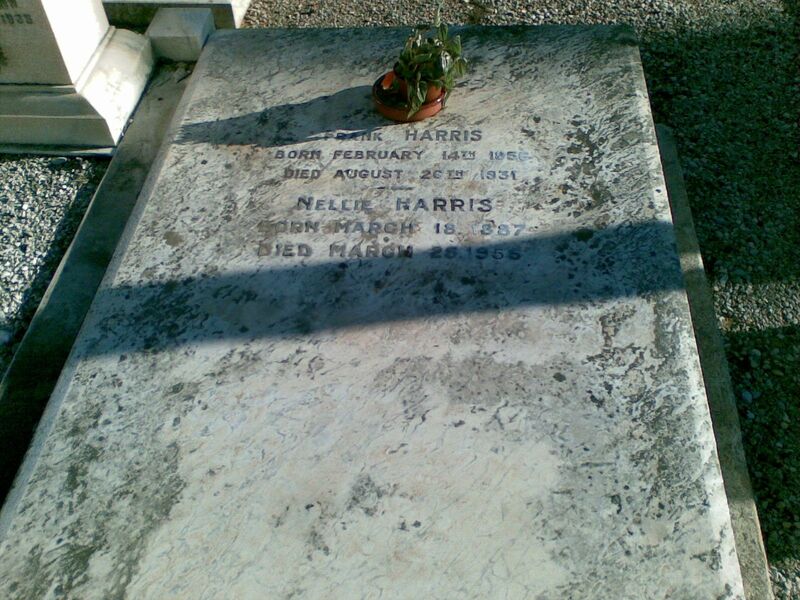 Note that Nellie Harris's supposed birth date would mean that they met when she was just 11 years old! Thanks to Joe Joyce for the photograph.